Tuesday, August 25th, Bonaire – On Thursday, August 27, 2015, Sea Turtle Conservation Bonaire (STCB), Stichting Nationale Parken Bonaire (STINAPA) and WWF-NL will argue an appeal at the Joint Court of Justice. The appeal focuses on how permits for development activities within the Bonaire National Marine Park are assessed. Last year the Court of First Instance ruled in favor of STCB, STINAPA and WWF-NL when the judge annulled the permit that was granted by the Dutch Ministry of Infrastructure and Environment, for a proposed construction (pier) in Bonaire’s Marine Protected Area (MPA). 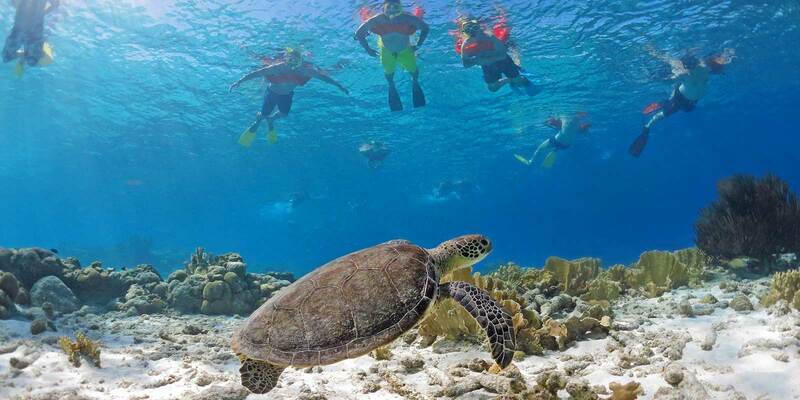 The judge ruled that the Dutch Ministry failed to show the necessary argumentation to back-up its decision to issue this permit and to counter the advice STINAPA, the organization that is responsible for the management of the Bonaire National Marine Park. The judge also ruled that the assessment of interests, as laid out in maritime legislation, has a limited scope. Plaintiffs (STCB, STINAPA and WWF-NL) will argue during Thursday’s appeal that the legislature never intended such a narrow interpretation, and that, in fact, it is essential for the Dutch Ministry to apply other values, including the precautionary principle, in its assessment. The case will be heard at the Court of Justice, Fort Oranje, Plasa Reina Wilhelmina in Kralendijk, Bonaire on Thursday 27th of August at 11:30 a.m. It is open to the public.